Chlorine toxicity commonly occurs when a novice fish owner, unaware of the dangers of chemically treated faucet water, fills the tank with chlorinated tap water rather than taking the time to properly aerate and treat the water. Chlorine poisoning is often fatal to fish if it is not caught, diagnosed and treated quickly. Chlorine in water causes a condition known as acute necrosis in fish. Chlorine kills living cells, most often damaging fish's sensitive gills as well as the skin that covers their entire bodies. Fish placed in chlorinated water will begin to suffer from respiratory problems and may suffocate, unable to breathe properly. Fish suffering from chlorine poisoning may appear pale, may look as if they are covered in mucus and may develop red areas on their bodies. Affected fish may swim erratically or hover near the top of the water, struggling to breathe. 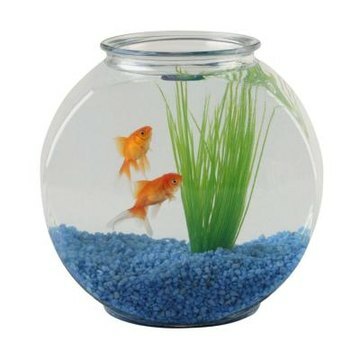 You need to remove your fish from the tank immediately if you suspect your fish are suffering from chlorine poisoning. Set up a second completely clean and fully functional aquarium. Fill the new tank with water that does not contain chlorine. Ideally you should use treated tap water, reverse-osmosis or distilled water. If you use reverse-osmosis or distilled water, you will have to add mineral and nutrient supplements to the water if you want your fish and plants to survive in it long-term; pure water has had almost all nutrients removed from it and therefore does not provide your fish with everything they need to survive. The most important thing is to get your fish out of the chlorinated water as quickly as possible. Use a fish net to scoop each fish out of the toxic water and to gently place them into the new tank. No known medical treatment can repair the damage done by chlorine; you must separate the fish from the source of toxicity and give the fish time to heal, if they are able to do so. Fish who have been in chlorine water for long periods of time almost always wind up dying as a result of the damage the chlorine does to their gills. Never use tap water in your fish tank without first treating the water with chemicals that neutralize the chlorine in the water, or by boiling it or aerating it with plenty of oxygen. If you use a chlorine-based product such as bleach to clean and disinfect anything you use in your fish tank, you need to make sure you thoroughly rinse those objects in clean water to prevent introducing chlorine into your tank. Also, make sure to buy aquarium test strips that allow you to test your tank for chlorine. Regular chlorine testing will help you identify problems in your tank. If your tank has too much chlorine in it, you will need to completely empty the tank and perform a full cleaning on it before you refill it with properly treated water. Be sure to rinse all tank accessories and equipment thoroughly before returning them to the tank.